IT Audit - eDelta Consulting, Inc.
eDelta Consulting has deep expertise in the complex area of Information Technology (IT) auditing. Clients seeking a trusted partner to assess technology risks and controls continually leverage the specialized backgrounds of our consultants and our experience with Fortune 500 and Global 2000 corporations. Certified Information Systems Auditor (CISA), Certified Information Security Manager (CISM), Certified Information Systems Security Professional (CISSP) and Certified Business Continuity Planner (CBCP). eDelta delivers services within the guidelines and best practices set forth in the integrated risk/control frameworks of COSO (Committee of Sponsoring Organizations of the Treadway Commission). COSO is a voluntary private sector organization dedicated to improving the quality and effectiveness of internal controls and corporate governance. COSO is recognized as the leading standard for developing internal controls. 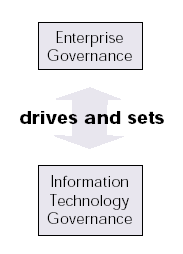 COBIT stands for ‘Control Objectives for Information and related Technology’ and is issued by the IT Governance Institute. It is tightly linked to the principles of COSO and is internationally accepted as good practice for control over information, IT and related risks. 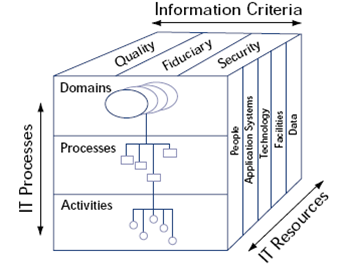 Of particular importance are COBIT’s Management Guidelines, which contain a framework for responding to management’s need for controls and performance of IT. The guidelines include proven tools to assess and measure an enterprise’s IT capability within 34 specific processes. eDelta consultants leverage the COBIT framework along with other standards to help clients implement effective governance over IT and establish an efficient risk and control system for the enterprise. IT must respond to many different drivers and mandates in the enterprise, including compliance requirements. Companies dealing with Sarbanes Oxley, SEC rules, GLB, or HIPPA need to ensure that IT complies with specific regulations and that risks to the business are assessed based upon the risk tolerance of the organization and cost/ benefit considerations. eDelta offers IT and Internal Audit executives a unique blend of capabilities to address the complexities of IT and compliance.